Did you know that there are over 800,000 homeless people in the United States? We would like to thank White Tavern for sponsoring our charity at their Annual Customer Appreciation Event on 9/15/2018. A big high five to Jodi, Pat and their fantastic staff. Also a big thank you to Miller's Ale House, Draft Picks, Adagio Tea, Bulldogs, Robin Wissler and Kathy Ruggio for their raffle donations. Jolly Old Soles is dedicated to providing new and used shoes to primarily local organizations that assist both children and adults in need. Jolly Old Soles’ purpose is to connect those willing to help with those needing assistance with one of our basic human necessities, shoes. 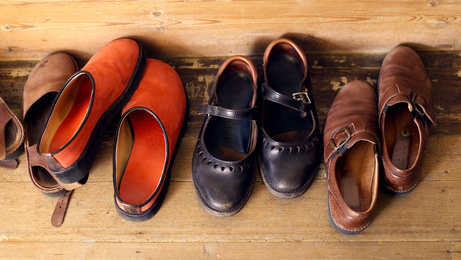 As of 3/14/2019 Jolly Old Soles has collected 12987 pairs of shoes and donated 12915 pairs! !